Skaters have the opportunity to take Skate Canada Tests through a nationally standardized testing system. There are four categories of tests and it may take many years to complete all test levels. Most Free Skate tests are offered in two parts, the “elements” and the “program”, which is choreographed and skated to music. These can be tried separately or on the same test day. 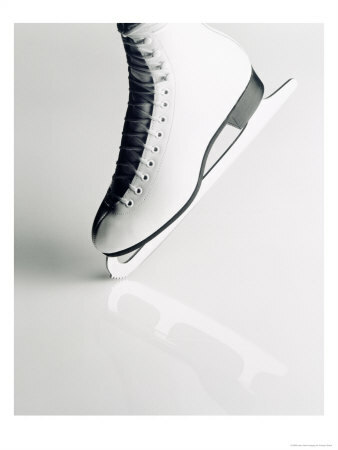 A skater can progress through the elements portion, or the program portion independently of the other portion. However, in order to get credit for the Free Skate test they have to pass both components. Dance. There are three individual dances to be completed at the Preliminary, Junior Bronze and Senior Bronze Level. Once skaters advance to the Junior Silver, Senior Silver, Gold or Diamond dance level it is 4/5 tests that need to be completed at each level. Under this test system, tests are evaluated by one person (an Evaluator) who assesses a skater’s proficiency against a standard using a word scale (excellent, good, satisfactory, or needs improvement) identifying skills performed well and those requiring further development. Delta Skating Club schedules tests once in the fall and once in the spring for all disciplines at every level, provided a qualified Skate Canada Evaluator or Judge is available for the test levels.. Once a skater passes a test, they then move to the next level in that discipline. If the test is not successful the skater can retry that test at the next test day. **Please note: TheAdministrator Fee per skater is $10.00 per test day to coverage items such as evaluator’s mileage, food and, ice costs. There may be additional coaching fees from the skaters’ coach that should be discussed by the coach prior to the test day. How is it decided that it is time to try a test? The decision to try a test lies with the skaters private coach. In general, a test is not attempted until the skater consistently exceeds, in regular practice, the listed standards for a particular level of test. The reason for this is that, on test days, most skaters are somewhat nervous. Therefore, it is quite likely that their quality of skating at test day will fall a little short of their normal level of performance during practice. If they attempt a test before their ability for skating this particular test has been fully developed, it is more than likely that they will not succeed and therefore be discouraged. Test application papers are given to skaters by their coaches when they feel that the skater is ready for a test. Forms should be completed in full, including the Skate Canada number. Test papers and fees must be submitted to the Club Test Chair by the set deadlines. According to Skate Canada rules, once an application goes in on the due date, money cannot be refunded. A missed test is recorded as a retry. Tests are a formal process, with specific etiquette to be followed. Skaters are required to arrive one hour prior to their scheduled test times to allow time to properly warm-up and mentally prepare. Skaters are to dress in appropriate attire. Spectators are welcome but are expected to behave with decorum, respecting the evaluators and skaters need to focus. Each skater will be provided with a warm-up of approximately 5 minutes. The skater will then perform for the evaluator, who will observe, make comments and indicate whether the skater passed or must retry the test at a future test day. The evaluator’s feedback should be discussed with the skater’s coach.